2012 Books at Lulu.com 12 NEW TITLES! 2012 Books at AuthorHouse.com 9 NEW TITLES! "!It looks great. Nice quality designs and art, this book should really move things forward on the 2012 discussion. I'm also happy that you allowed me to contribute the preface. I'm intrigued with your concluding chapters, a synthesis of the most cogent theories to arrive at a compelling meta-view of the entire field." "Dude, what an incredible piece of work... Definitely worth many doffings of the old Phrygian cap...over all it is an honest masterpiece. I've read it twice straight through, and some portions several times more, and I must say that you are about as right as it is possible to be on this subject. Simply and overwhelmingly impressive. Everyone, all the damn whackos, need to read your book..."
"...BEYOND 2012 is a virtual Ph.D. dissertation on just about every subject related to 2012 - written in layman's language with lots of illustrations, and even plates (one of my charts even made it as a color plate!) for easy and entertaining reading. I'm familiar with Geoff's dedication to "getting things right", but still I'm amazed that he was able to put this kind of comprehensive knowledge together, and to present such a cogent argument that there seems to be something special about 2012 that warrants close attention...." read whole review here. The book is fantastic, man!!! Unbelievable!!! *applauds* *applauds*. I just started it and from leafing through it, I love it already!! In fact, I came to a knowledge of 2012, first thru McKenna and later through the Maya Calendar....P.S. On further perusal of your new book, I love it even more… Great Book!!!! My friend David is waiting in anticipation. "...your book is blowing me away. I will have to read small bits at a time to keep from being overwhelmed." NOW AT DISCOUNT AND DISPATCHED STRAIGHT AWAY!! "According to the ancient Maya, the world as we know it will end on 22nd December, 2012. On that date, their calendar will click round to zero for the first time in over 5,000 years. They prophesised that this destruction will be preceded by a series of natural disasters, including earthquakes and floods. Does this sound familiar? What will this mean for us? Should we take seriously their claims that this will be a time of apocalyptic cataclysm? And, just how did the Maya, a clever but nonetheless Stone Age people, calculate the date of an astronomical event that would take place many millennia in the future? These are just some of the questions posed by Adrian Gilbert, co-author of the international bestseller "The Mayan Prophecies". In "The End of Time", he revisits the ancient archaeological sites of the Maya and makes astonishing new discoveries about their cosmology. He also makes use of modern computer technology to 'backtrack' the skies to the way they would have appeared in previous ages, which has resulted in some major findings concerning the astronomical significance of the Mayan calendar. This absorbing, thought-provoking book is enhanced by a number of illustrations and photographs to help explain the many theories and ideas conveyed in the text. And, in case, an apocalyptic event really is upon us, the author offers tips for survival." "2013 Oracle" looks beyond 2012 with a powerful divination system, including two mirror-finished card decks, a colorful printed cenote cloth to contain and focus the oracular energies, and a four-color book to explain and interpret the guidance of the ancients. In beautiful artwork by visionary artist G. Borri and David Carson's prophetic interpretations, users will find answers to guide them through the uncertainties ahead. Like the "Medicine Cards", "2013 Oracle" is based on the spiritual wisdom of the Native American ancestors. David Carson introduced us to our power animals through that popular deck; we can now go deeper into the Native American mysteries with the "2013 Oracle". This beautiful book, deck and cloth immerse the seeker in the rich lore of the Olmecs, Toltecs Aztecs, Mayans and mound builders. We access the cosmology around which they built cities of gold where they practiced highly advanced technologies based on mathematical and scientific knowledge beyond that of the Europe of their day, knowledge we are only now beginning to comprehend. "2013 Oracle" marries the sacred information these ancient ones inscribed for us with a divination system that is a mirror of our internal truth. The voice of the oracle speaks across the centuries to lead us through the contradictions of our times. Ervin Laszlo explains that we are at a critical juncture in history, a ‘decision-window’ where we face both the danger of global collapse and the opportunity of worldwide renewal. According to Laszlo we have six to seven years to head off unsustainable trends that would lead to a ‘tipping point’ beyond which there is no turning back. After this ‘tipping point’ we either evolve to a safer, more sustainable world, or the social, economic and ecological systems that frame our lives will break down. This is the Chaos Point, but this need not be the end of the world, only the end of a phase from which a new world could dawn. In today’s ‘decision window’ we have a unique chance of creating that new world. This pioneering new book tells us what healing and renewal means, and how each of us can help in achieving it. SEE NEW DIRE GNOSIS REVIEW OF THIS BOOK! 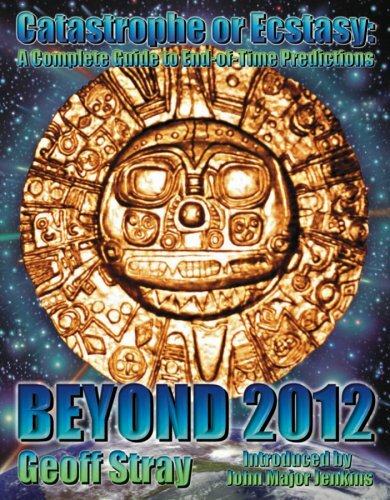 Maya Cosmogenesis 2012: The True Meaning of the Maya Calendar End-Date: While researching the 2012 end-date of the Maya calendar, John Major Jenkins decoded the Maya's galactic cosmology. The Maya discovered that the periodic alignment of the Sun with the center of the Milk Way galaxy is the formative influence on human evolution. These alignments also define a series of world ages. The fourth age ends on December 21, 2012, when a large chapter in human history will come to an end. "Maya Cosmogenesis 2012" reveals the Maya's insight into the cyclic nature of time, and prepares us for our own cosmogenesis--the birth of a new world. * Extends Jenkins' groundbreaking research in Maya Cosmogenesis 2012. * Reveals how the coming Galactic Alignment of era-2012 promises a renewal of human consciousness. * Uncovers the galactic vision of Mayan, Egyptian, Greek, and Vedic cosmologies. In 1961 an unknown Aztec codex was revealed to Beat poet and explorer Marty Matz by a Mazatec shaman in the mountains of Oaxaca, Mexico. Originally intended for dramatic performance, this codex presents a profound metaphysical teaching describing how the end of time will bring about a visionary ascent. At the behest of his Mazatec teacher, Matz transcribed this pictorial codex into a literary form that would preserve its initiatory teachings and reveal its secret meanings to a wider audience. Pyramid of Fire is an epic poem that provides a vehicle to transport the initiate into the higher realms of consciousness. It represents a barely surviving thread of teachings that have been passed down in secret since the time of the Conquest. The solar energy within what the ancients called the "serpent of consciousness" is the spirit by which man is translated to the stellar realm at death. Line-by-line commentary by Matz and John Major Jenkins provides insights into the perennial philosophy contained in the codex and its relevance to our times. John Major Jenkins' seminal investigation of Maya calendrical systems, published in 1994, is now available on CD-rom with masses of extra material, including interviews, essays, letters, poetry, and other rare gems - see list of contents and buying information by clicking on the cover. 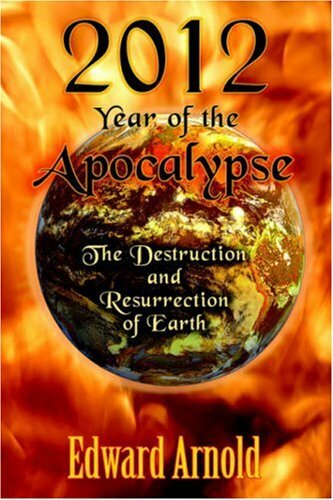 This book focuses on a 2011 end-point - why 2011? "Frank Waters first published the Book of the Hopi in 1963, and to research it, he had lived on the Hopi Reservation for three years (probably 1959-1961) and was subsequently seen as an authority on Hopi matters. In the book, Waters says that the Hopi believe that the Maya, Toltecs and Aztecs were “aberrant Hopi clans” who remained in Mesoamerica while the Hopi migrated north. In 1975 he brought out his book Mexico Mystique, in which he showed common points in the cosmology, mythology and ceremony of the Hopi to those of the Aztecs and Maya, and equates the catastrophic end of the Fifth Sun of the Aztecs with the end of the Fourth World of the Hopi. Also in Mexico Mystique, Waters says that the 13-baktun cycle began on 12th August 3113 BC and ends on December 24th 2011 AD. He got this end-date of 2011 from The Maya by Michael Coe (first published in 1966, but Coe’s later works give a revised end-date of 23rd December 2012). This is obviously why some people have got the impression that the Hopi prophecies end in 2011." The Mysteries of the Great Cross at Hendaye: Alchemy and the End of Time Weidner & Bridges' A Monument to the End of Time has been re-worked... - just published UPDATE: contrary to what some sites say, Maurice Cotterell is NOT a co-author! "Mysteries really is more of a new book than just a new version of AMET. We added roughly 80,000 words of new stuff, mostly on the medieval period and the cathedrals as well as a more complete look at Fulcanelli's use of symbolism in Le Mystere. On Hendaye, we have more information on the Cross itself, and what was perhaps its Celtic/Basque original, and who placed it in the courtyard at St. Vincent's. This thread led us to the "real" Fulcanelli behind all the confusion, as revealed in the Epilogue. Another major addition is a chapter on the Tibetan connection and Shambalah and how these legends and predictions also relate to the ancient science of galactic alignment." "This version is also completely and exhaustively footnoted, with a major bibliography, index and of course illustrations and diagrams." Australian radio-ham Kev Peacock has just collected all his research into an eBook that finds a convergence of 4 factors in 2011 that may cause a reversal of Earth's magnetic field in 2012. UFOs, abduction and cattle mutilation also come into the picture. 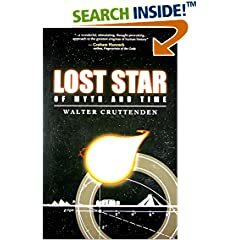 Lost Star of Myth And Time by Walter Cruttenden. This book has several mentions of 2012 and can be searched for 2012 quotes, using the "search inside books" facility at Amazon.com. Click here for the 2012 search: Lost Star of Myth And Time. The myth and folklore of ancestral peoples around the world hints at a vast cycle of time, with alternating Dark and Golden Ages. Plato called it the Great Year. Long believed to be a fairytale, there is now new astronomical evidence to show it has a basis in fact. Moreover, because it is caused by the acceleration of our Sun around another star, we learn that the Earth should soon be carried into a region of space that will have a beneficial affect on our atmosphere, nudging mankind into a higher age of consciousness. Lost Star of Myth and Time weaves together some of the latest archaeological evidence with cutting-edge astronomy to reveal a history of the world that finally fits with myth, folklore and the archaeological record. While this book explores some of the most interesting aspects of a once advanced civilization that covered the Earth, it is really about what happens to the Earth and consciousness as our solar system moves through space in the mysterious motion known as the "precession of the equinox". This astronomical phenomenon has since Newton been attributed to local gravitational forces wobbling the Earth’s axis. Lost Star now shows us in no uncertain terms that the Earth’s axis does not change orientation relative to objects inside the solar system at the same rate that it changes orientation to objects outside the solar system, meaning precession must be due to our Sun’s binary motion around another star. Chapter by chapter it becomes clear that ancient cultures knew of precession, used it as the clock of the ages, understood it to be due to the solar system’s motion through space, and realized this subjects the Earth to a cycle of waxing and waning stellar influences. It is these forces that affect our magnetosphere, ionosphere and indirectly create the larger seasons of the Great Year. As you will see this not only gives cause for a major rethink of human history and potential, but indicates we are approaching a tipping point in the awakening of consciousness." This book was released in January 2006, and the authors inform me that it covers "new insights about evolutions in our universe. The most important one right now is the near end of a half precession cycle which will leads to a huge world disaster. In other words: a pole shift is on its way. We expect it around 2012 – 2013". "The World Upside Down is divided into two parts. Part 1 examines various widely accepted concepts and punches holes in each one. In concise, detailed chapters complete with figures and charts, the authors critically examine the big-bang theory, black holes and the evolution of stars and galaxies. Readers also learn their astounding hypotheses regarding the birth of the moon and the Earth and about continental drift. Part 2 explores the discovery of a "cosmic" year. "Or," the authors write, "should we say it deals with a rediscovery, since ancient civilizations were aware of the existence of 12,888 periods separated by a tremendous worldwide catastrophe caused by the orbit of our Solar System with regard to the direction of the universal plasma and her interaction with the Earth's magnetic core." The Van den Driessches provide gigantic, detailed and varied evidence that the end of the cosmic year appears imminent, and this section of the book explains why. "Can we prepare ourselves in time?" the authors challenge." Click on the cover for more info at the Authors' website. Graham Hancock suggests that an unusual planetary alignment at the end of the Great Cycle will cause a gravitational effect on the crust of the Earth, which is top-heavy with polar ice. The crust will slip, wiping out most of the life on Earth as a result of colossal tidal waves. However, this planetary alignment is due on 24 December 2011, which is the date given by Frank Waters in Mexico Mystique as the end of the Great Cycle. Since the end-point has now been confirmed as 21 December 2012, if we are due for crustal displacement, this alignment will probably not be the trigger. the "gods" who ruled the planets in the ages before Adam - (Pre Adamic History) - and their return as "aliens"
the meaning behind the esoteric tenet "As Above, So Below"
the Great Work of the Mystery Schools from its origin to the implementation by the modern alchemists of NASA"
"Whether civilisation continues to exist post 2012 may depend on the evidence presented in this books controversial thesis." "Examines the flaws in Darwin's theory of evolution and presents startling new evidence of intelligent intervention. Reveals the messages coded in the pyramids left by the ancients concerning impending Earth changes at the end of the Mayan calendar." Ancient Gods and Their Mysteries: Will They Return in 2012 AD? "John Van Auken, author of numerous Cayce-related books, and Dr. Lora Little present Cayce's story of how and why a Hall of Records was established in the Yucatan. Backed by solid archaeological evidence and astronomical correlations, the authors show how the Mayan creation story involves the constellation Orion and why Piedras Negras is the likely site of the Hall of Records. In addition, the authors reveal that Cayce has told us what is recorded in the Hall of Records through his many Akasha "readings." Finally, an explanation of the current cycle of the Maya calendar points to the end of our age in 2012 and the beginning of a strange, new era". 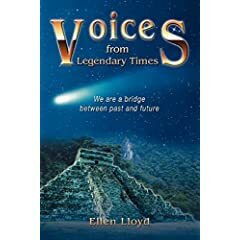 Voices From Legendary times: We are a Bridge Between Past and Future by Ellen Lloyd. "What is the connection between lost civilizations, ancient cosmic catastrophes, and extraterrestrial visitations in prehistory? Voices from Legendary Times draws together compelling evidence from archaeology, astronomy, geology, myths, and ancient texts to prove that superior beings from outer space genetically engineered several human races on our planet." There is no mention of 2012 in the synopsis, but there is an article by the author, Ellen Lloyd called, When Will the World End - 2012? here: http://www.ufoarea.com/lloyd_ending.html so it could be that, since the subtitle says we are a bridge between past and future, that the book is indeed about 2012. if you have read it, please email Diagnosis2012. 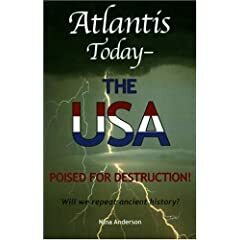 Atlantis Today - The USA was written to show the clear parallels between ancient Atlantis and our present-day civilization. The unmistakable similarities surrounding the use of technology, social pathways and political aims are unnerving. According to noted archeologists and researchers, the ancients possessed a high level of civilization that ultimately was their downfall, perhaps even causing the cataclysmic changes on Earth that destroyed Atlantis and other ancient civilizations. Shouldn’t we heed history? Will the United States policies towards the environment and the unbridled use of technology recreate the same outcome as befell Atlantis? It’s as if we are caught in a time loop. 12,000 years later we are repeating the same mistakes. 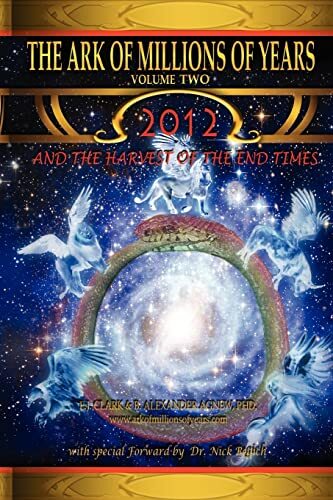 As the year 2012 draws near and the Mayan Calendar ends, will we see a new, enlightened era as many prophets predict or will doomsday win out and the "end days" befall us? Along with the novel 2012 Airborne Prophesy, this author has given us a glimpse of what could befall the planet in the year 2012. Neither book is a doomsday prophecy, yet it opens our minds to possibilities based on the prophecies and the real threat from modern technology and cosmic changes. " "In response to readers' curiosity resulting from her prior book, 2012 Airborne Prophecy, Ms. Anderson takes the time to expound on the theories that were presented as fiction in that work. However, they are laid out as fact herein. Among them is the idea that the ancient world was far more advanced than the modern one, with technology that would put George Lucas' imagination to shame. Left as an imaginary scenario, it makes good fiction. Presented as truth, it lacks credibility. " Nibiru, Precession and the Maya calendar all come into the subject matter of Rob Solarion's Appolonius.net site and to launch his new book, he has got a mirror site: slowmotiodoomsday.com. Much of the material on his site is in the book, but there are at least six chapters that are not on the websites. "An account of how life on earth is fated to end owing to the devastating effects of a giant comet slated to pass close to our planet - violent tremors, incredible heat, volcanic eruption and, as the terrestrial axis shifts and the crust relocates in relation to the poles, irrupting seas and global hurricanes of 1,000 MPH or more, with the combination detonating all nuclear devices and releasing all nuclear waste. It presents prophecies from seven sources, all in accord with what will befall us, provides evidence that the comet is cyclic and recurs every 35 centuries, and describes the ruin inflicted on our planet during past visits. It shows that geological beliefs regarding the origin and evolution of our planet and its life forms are wrong and that the Earth's flora and fauna, man included, were bred in laboratories by aliens having far greater technology than we can ever hope to gain with so little time remaining. It tells how they travel through space in astral form and materialize using physical atoms at the destination, stresses that creatures cannot die, but merely pass from incarnate to discarnate mode, and treats life in the looking-glass universe and how to ascend in its hierarchy." "Book Description: In the genre of paranormal science, there is so much being written. This work comes from a writing team made of a "world-class archaeologist and a patented scientist" ( I SIMPLY DON'T BELIEVE THIS- -ED). Bringing over 50 years of research to bear on a beautifully written book, they have accomplished two things. They have provided a scientific springboard from which the reader can launch into the eternities with confidence. And they have finally broken the dam holding back the waters of life. Here is the safest craft upon which you can fly through religions, governments, universes, and dimensions." The book starts with the presumption that Michael Drosnin's Bible Code, that predicts the Earth being hit by a comet in 2012, is not only possible, but which is actually the "primary message of the plain text of the Bible", and also underlies many worldwide mythologies. Similar to the book by Joan Parisi Wilcox (see below), this is the the story of a an American woman who visited the Andes in Peru, while studying for her Ph.D in psychology, and ended up training for eight years with the Q'ero priesthood, and Juan Nunez del Prado. The book also tells of the Q'ero prophecy concerning 2012, but in a little more detail than Wilcox. The Invisible Landscape: Mind, Hallucinogens, and the I Ching: "A thoroughly revised edition of the much-sought-after early work by Terence and Dennis McKenna that looks at shamanism, altered states of consciousness, and the organic unity of the King Wen sequence of the I Ching." The book shows how the I Ching-derived Timewave Zero graph, (that maps the ingression of novelty into space-time, and which terminates in 2012), was conceived and calculated, and explores the psycho-pharmacology that allowed the original insight -"the wiring under the board". DMT: The Spirit Molecule: A Doctor's Revolutionary Research into the Biology of Near-Death and Mystical Experiences. The book gives a detailed account of the only legal study of Dimethltryptamine ever made. This is a compound produced in the human body and, argues Strassman, specifically in the pineal gland, during birth, death, and mystical experiences. It is also one of the 2 main psycho-active compounds found in the shamanic brew ayahuasca, and also in the plant/fungi combination that the McKenna brothers ingested to access the hyperspace realm when they were given knowledge of the significance of 2012. It is also a constituent of the sacred mushrooms used by Mayan shamans, so may be behind the timing of the 13-baktun cycle as well. Beyond the Indigo Children is the first major study of today's children, and their place in our rapidly changing world, that combines objective research with mystical revelation and prophecy." A Celtic story set in alternating chapters with a non-fictional quest that covers subjects like quantum mechanics, hypnosis, earth energies and consciousness. It leads the reader towards finding a link between science and eastern philosophy and goes on to give scientific models for telepathy, remote viewing and non-local healing. the author is webmaster of EvolutionDay.com - a site that will attempt to create a positive, spiritual future by synchronised meditation and other practises, performed at appropriate times, in places of energetic potency in preparation for Winter solstice 2012 - Evolution Day. "Tranceformers: Shamans of the 21st Century is the true story of this author's contact with a "dead" colleague, George Sebastian Viguet III, a former physicist with the U.S. Government. Overwhelmed, he spent the next ten years collecting life-after-death experiences from both the scientific and spiritual literature to compare his encounter with others on record. The common theme that emerged was trance. So, employing clinical hypnotherapy protocols John Jay Harper investigated past, present, and future lifetimes with clients to document how God is invoking Heaven on Earth now. That is, he learned that our third eye is opening to angelic visitations, miracles, and the "land of our dead." We are witnessing what the late ethnobotanist Terence McKenna (1946-2000) called "the exteriorizing of our soul and the interiorizing of our body": We are becoming beings of light. Indeed, the Mayan's "end-time" calendar identifies this shift of the ages as our shift into synchronization with our Sun. The timing for this superwave of light is regulated by the 12 "signs of the times" zodiacal clock located at the center of our Milky Way Galaxy. This shift of our globe's electromagnetic axis is melting our polar ice caps and bringing massive Earth Changes; it also heralds the Second Coming of the Christ Consciousness. The point is our celestial clock is ticking and the alarm is set to go off on December 21, 2012." "You will find within these pages the topics of astrology, the Lightbody, alchemy, immortality, ascension, planetary ascension, geometry, soul technology, human evolution, galactic consciousness, multi-dimensional consciousness, mapping reality, navigation of 2012 and the Mayans, ancient Egypt and the Radiant self, the game player consciousness and the perfection of your imperfections". The Unity Keys of Emmanuel by Ananda. 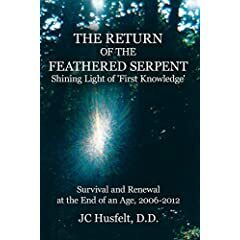 The Return of the Feathered Serpent Shining Light of 'First Knowledge': Survival and Renewal at the End of an Age, 2006-2012 by J.C. Husfelt, D.D. "The Return of the Feathered Serpent refers to the prophesied return of the 'messenger.' The prophetic theme of a returning cultural hero is one of the most enduring myths known to humankind. At all times its impact and importance is due to the message of hope and renewal that the hero brings to a gloomy world locked away, as always, in the shadows ruled by fear. In a monumental and epic time of need, the hero re-appears. To the Mesoamericans, their returning prophet or cultural hero was known as Quetzalcoatl - the Feathered Serpent." "...Dr. JC Husfelt brings a mythic story of his own true adventures in Asia, Mesoamerica, South America and the Pacific Islands of Hawaii. In 1993, on the Big Island of Hawaii, JC had a vision - a voice from heaven revealed that he was the Morning Star. As the Morning Star, he is the 'bringer of light,' the prophet and the messenger. To the Mayas, the Morning Star is Ahzab Kab Ek - the star that awakens Earth." "JC's book and message appear at a most propitious time in human history and brings a message of hope and light. Conflicts, disease and natural catastrophes are occurring at an alarming rate all over the Earth. All of these magnifying the fear and uncertainty felt by so many people. Guidance is needed to awaken out of this stress-filled life and fear-induced spiritual sleep." "This book will guide you in awakening as a Feathered Serpent-a Sun of God - an awakening to your own intrinsic divine nature. And this awakening is the very key to survival and renewal at the end of this Age. In fact, it is also the secret to a happy, loving, powerful and satisfying existence-in this moment and in every moment of life. 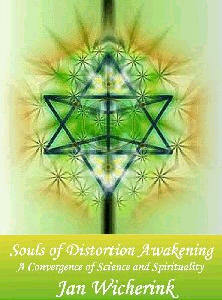 Truly JC is the Morning Star, Ahzab Kab Ek - the star that awakens Earth." "Let Your Light Shine for 2012 is the long awaited sequel to Sean Bradley's bestselling book Angelic Energies. This new book by Sean Bradley will demystify the 'mysteries' surrounding 2012 and through reflecting on an ancient civilisation's calendar that ends on 21.12.2012 we can begin to understand the hidden meanings surrounding the end of the Piscean Age and our entry into the new Dawn of Aquarius." An "esotercist and Doctor" guides the reader through self-transformation in preparation for 2012. "The Ancient People all agree on one thing; we are in the period of the Great Shift. Some would say that it started as far back as the 60s. But certainly by the time of the Harmonic Convergence in 1987 many of us were sensing a change in our priorities as a deeper yearning emerged from within our souls; it was time to remember and reconnect. As we move towards another important date, 21st December 2012, the end of the Mayan calendar, we must wonder what this highly evolved civilization knew of our time and what they would think of their offspring 5,000 years after the creation of their magnificent calendar. Would they have seen that, in the first years of the 21st century, momentous events would shake the very fabric of every society, acting as the catalyst for the transformation that is crucial to the evolution of human civilization and consciousness? One thing they would certainly say is that these changes will happen whether you or I are ready or not. Because for once this is not about us as individuals or even a particular culture, religion or country. This is about our Earth, a vital being in its own right, raising its frequency to join with the other planets so that our solar system can take its place in the greater scheme of the galaxy and the Universe; this is its destiny." Read the rest of this introduction to the book here. Contents include: Transformation; Healing; Healing Self and Others; Meditation Methods; Prayers; How to Aid in Your Journey to Regain Human "Immortallity"; Where is the Real "Fountain of Youth? "; Purification. The Reincarnation of Edgar Cayce: Interdimensional Communication and Global Transformation by Wynn Free with David Wilcock. "There will be a host of new and yet-unpublished research in Part Three, including a section on the galactic energetic mechanism of DNA evolution which I authored myself." "Edgar Cayce (1877–1945) was the premier mystic/psychic of the Western world, whose many predictions about reincarnation, evolution of the soul, health issues, and Earth changes comprise a legacy that affected countless people. Cayce also predicted that he would return in 1998. Through facts and circumstances, channeler David Wilcock makes a convincing case that he is the reincarnation of Edgar Cayce. His parallels to Cayce include a remarkable physical resemblance, astrological charts, personality traits, correlations in the development and awareness of their psychic abilities, and the apparent connections of Wilcock’s close friends to Cayce’s intimate associates. Wilcock also examines Cayce’s many predictions about global health issues and Earth changes, and gives guidance to those who want to understand the significance of these changes now taking place. Black-and-white photographs enhance this examination of the spiritual legacy of Edgar Cayce by the man who claims to be his reincarnation." "Tyl, a Harvard graduate and astrologer for 30 years, offers 58 specific predictions of world events that will take place between now and the year 2012. For those put off by astrology, Tyl confines his trines, conjunctions, and ascendants to starred footnotes, so that the book might be read strictly as a futurist's forecast. Each chapter begins with a sweeping historical overview that places current and conjectured events in perspective. Many of his predictions are intriguing: Iran will become an atomic power in 2000; China will abandon Communism by 1999; a U.S. president will be assassinated in 2012, after which the nation will become a center of world government. For some reason Tyl includes no predictions about Russia, though he does say we will make the first contact with aliens in 2004. Speculative but insightful. George Eberhart "
"In May 2004, members of the Italian National Library in Rome made an amazing discovery. Buried in their archives was an unknown manuscript by the famed prophet Michel Notredame, or Nostradamus (1503-1566). This manuscript was handed down to the prophet's son and later donated by him to Pope Urban VIII. It did not surface again until now, almost four hundred years later. Due to the pressure and scrutiny of the Inquisition, Nostradamus was forced to scramble both the meaning and the order of his quatrains. He made sure humanity would not be able to use them until we had become sophisticated enough to decode them. That time has finally arrived. Using cutting-edge data mining techniques, Dr. Michael Rathford sifted this complex word puzzle searching for significant patterns and relationships. Almost immediately, he came up with the predictive model known as The Nostradamus Code. When the prophecies-within-prophecies are decoded, the hidden timeline of World War III is revealed. You will read about Osama bin Laden, the next major terrorist attack in the US, the resulting war with Iran, a confrontation between the US and China/Russia, and great detail on the timing and the course of World War III. Drawing on newly discovered Nostradamus manuscripts, a startling new view of the world is revealed. If you agree that signs like terrorist attacks, volatile Middle East, skyrocketing oil prices, and a growing China could lead to WWIII - then you will find this book truly eye-opening. With a total of eight chapters, The Nostradamus Code: World War III opens with an overview of the bewildering events currently unfolding on the world stage. You will find out why they are happening, and what you can do about them to protect yourself. Next, the years 2006 through 2012 are explained in precise detail. Referred to by Nostradamus as the Time of Troubles, you will read hundreds of startling revelations regarding this era. The Time of Troubles is full of war, despair, and evil, but also of hope and promise. Use this book to enlighten yourself, your loved ones, your world, and your future." Michael Drosnin claimed to have found a code in the Jewish Torah - the original Old Testament - which predicted President Rabin's assassination a year before it happened, plus the Shoemaker-Levy comet's impact date with Jupiter 2 months before impact, plus...an encounter between earth and an asteroid in 2012, which will be torn to pieces. "Bible Code II: The Countdown starts with 9/11 and counts down to Armageddon. For 3000 years a code in the Bible remained hidden. Now it has been unlocked by computer, and it reveals events that happened thousands of years after the Bible was written. Often world-shaking events are predicted in advance -- and then happen exactly as foretold. Do we really have only years to survive? Or can the Bible code help save our world? Can we use it to change our future? This is the thrilling sequel to the #1 bestseller that shook the world". A further exploration into the bible code (with special relevance given to themes from the Book of Revelation), shows that Mars' moon, Phobos will be hit by an American missile in 2010, and break into seven pieces. The seven break up further into ten pieces - these are the seven heads and 1ten horns of the Book of Revelation. Three of these ten collide with the USA in 2010. Three more hit Russia in 2011, and three more hit China in 2012. The final asteroid (Wormwood of St. John's Revelation) will hit the Gulf of Arabia in 2012, resulting in a world axis shift of 25 degrees, the submergence of Japan, the Philippines and the West coast of the USA. "Is the world coming to an end soon? What happens next? What are the signs of the end? A study in reality with some good news you can use to your benefit". News direct from Heaven: The New Jerusalem is to be situated in central California & fully functioning by 2012. Your copy of the book can be exchanged for a million "WMF dollars" in 2012. The Occult Power behind 666; the Number of the Beast Decoded, utilising a secret Gnostic code in use in 96 AD, understood only by early Christian initiates. "The year is 2012 and the Mayan calendar has ended. Will humanity cease to exist? Will evolution unfold new possibilities? What will the history books say about this time? has humanity's existence dramatically changed in 2012 as predicted by the Mayans many years ago? Will the year 2012 host a major evolutionary shift? To what extent will love prevail? is there a future for humanity or will humanity commit some heinous act and obliterate everything out of existence and eliminate the chance for souls to evolve? What exists in 2012 that was foretold by the Mayans centuries ago?" The answer of course, is the one you know already, that we must all love each other in order to create a viable future. For those who attended Sunday school, this will all be familiar, except for a blending of Christian philosophy with compatible Buddhist concepts and Hindu morals. It is undoubtedly good advice, but not a gripping read. Unable to get hold of a copy for review!! "My job is to is to activate the hierarchy on the Earth in preparation for 2012 by activating the 4 arks ( pyramids) on the Earth. After the activation of the 4 Arks there will be 2 types of people on this Earth 1. Corporeal..solid human 2. Atmospherian..solid but different molecular structure"
"Alongside the time-honoured quest for the Holy Grail is the equally compelling and longstanding mystery of the hidden keys to “immortality” through white gold or other means.. My book “ORMUS” will guide you through the hidden truth... ! have taken existing pieces of the “esoteric puzzle”, and have found new pieces to present a bigger suggested picture, which will spell out the truth and hold forth enlightenment! “The Battle between Light and Darkness” ...“ORMUS” provides an exhilarating journey into the mind and spirit of a remarkable truth, a legendary mystery, and a masterful conclusion." 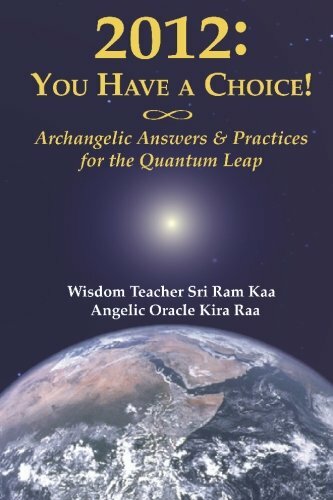 A paperback about the years leading up to year 2012, written at the request of "the ascended masters" by a "clairaudient medium" who received "messages from the spiritual dimension telepathically". Einstein, Hapgood, Cayce, Nostradamus all combine into a theory of pole shift in 2012. Find out more here. 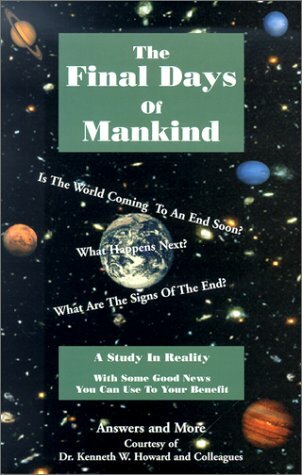 This is a book that reads on the subject of Earth Changes for only 33 pages. Then you turn it upside down and read from the other cover about the author's theories on taxation (86 pages). The Earth Changes part theorises that since the Moon affects the tides on the oceans, it must also cause a tide in the molten magma beneath the Earth's crust. The author says that a line can be drawn around the globe, along the Andes, Rockies, and down through the Himalayas. Peterson says that there will be a corresponding projection of the crust into the magma along this line, and that when certain astronomical cycles cause an extra high tide in the magma, this will cause the magma tide to slam into the projection, triggering a crustal displacement, so that the current polar regions end up on the equator, due to the unequal build-up of polar ice at the North and South poles. The mountain chain alignment is in a "vertical" position (perpendicular to the ecliptic) in regard to the pull of the Sun each year between 20th February and 5th April and again between 21st August and 5th October. The other cycles that would combine to make the position dangerous are (1) combined effects of new or full Moon, (2) Moon crossing the ecliptic, (3) Moon at monthly perigee or (4) annual perigee. Peterson identified all these times in a 20-year time span up to December 31st 2012. Of the 11 occasions that were risky in this period, the most recent of which was followed by 16 major earthquakes within 3 days. Only 3 of these danger days are left. These are 8th-9th September 2006, 20th March 2007 and 9th September 2010. So, the only connection to 2012, is that the Maya ended their Long Count then. Tyler acknowledges that "the earth's magnetic charge has dropped 50% in the last 2,600 years". So Gregg Braden was not the first popular writer to point this out in connection with the 13-baktun cycle (though he said 38% in 2,000 years). The Alautun is around 64,000,000 years long, which is close to the length of interval since the extinction of the dinosaurs. "Where did we humans really come from? Did our ancestors voyage here from a far-off galaxy? Could all records of that ancient pilgrimage be lost? Are we unintentionally attempting to return to our spawning grounds with our space programs as the first step? The human being is an arrogant species that must have the answer to all questions, and if we do not have them we invent them. From man's earliest days he invented numerous gods to satisfy his curiosity, gods to grant his wishes and gods to protect him from nature's fury. But what is about to be put upon us may be so powerful that no amount of gods will be able to stop it. The date is underlined; the clock is ticking - set for 12/21/2012." Adrian Gilbert and Maurice Cotterell, say that the end of the Great Cycle in 2012 is the culmination of a series of long-term sunspot cycles which will flip the sun’s magnetic field, causing earthquakes and flooding on earth. Moreover, the changing magnetic field will alter the endocrine production of the pineal gland. John Major Jenkins has pointed out that the detailed graphs of the cycles do not actually show significant termination points at the end of the Great Cycle. "Prophet's manual" is revelation of hall of records, when gates of universe open to reveal its hidden (non-local) content on winter solstice 2012. Times of change are closure of one and beginning of another sar cycle (as in Sumerian sar period, which is 18-fold fractal repetition that constitutes one quantum, i.e. 18x360=6480 years, where 18=3/2x12 or quantum boundary of fractal 3/4, which is end of time, because time is overlap between rotation/orbital motion. Sar cycle is 90º of 2x3600 or 7200/1.111=6480 in spatial context and/or 14.4x360=5184 or 72º of 7200 in time context). "Debunking the 2012 Urban Legend; using Synchronicities to discover one's life's mission; healing the Planetary Consciousness through Meditation and Acts of Planetary Kindness. (105 pages)". Dire Gnosis comment: If I called this a "silly book", the author would interpret the hidden meaning to be "skilful" and "like Ezekiel". This would be down to the similarity between the word "silly" and the words "skilful" and "Ezekiel". This is an actual example of a connection made in the book, and the book is full of them - around 350 pages of them! The author calls this the "Language of the Birds", and any actual linguistically sound connections are few and far between. Kabbalists like Kenneth Grant can get away with a few of these kind of connections, when they are backing up genuine Kabbalah, with stunning results. However, the revelations in this book could be fitted on one page. It certainly didn't live up to the hype! Silly but not skilful. "Thousands of years ago stargate technology of the gods was lost. Mayan Prophecy says it will return by 2012, along with our alignment with the center of our galaxy. This will bring the birth of a new matrix and a new human. We are its elders". "The Illuminati, including the Rosicrucians, altered the meaning of INRI to IGNI NITRUM RORIS INVENITUR or "the baptism or cleansing power of dew is only discovered by fire." In the Book of Revelation 10 the return of INRI covers the earth like fresh dew and triggers a thousand years of Peace, or the rebirth of Earth. Mayan oracles say this will commence in 2012." However, note 10 refers us to Revelation 20; 1-6, there is no mention of INRI, dew, or anything covering the Earth. The passage actually says that the thousand years of Peace is triggered by Satan being thrown into the pit. Unfortunately, Henry has now churned out a follow-up book, called Oracle of the Illuminati. It wouldn't surprise me if he examined an ants nest and deduced that in 2012, formidable alien ant-devils * from Antares will arrive in Antactica to antagonize our aunts. * (formidable sounds like fourmi-diable, French for ant-devil). "As Earth approaches the "end time", December 21, 2012, does the ancient blueprint of the Egyptian Pyramids and Sphinx map a sacred message for humanity? 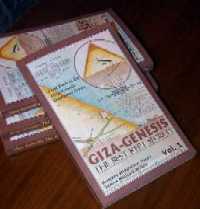 Volume 2, The Sphinx Revealed, in the Giza Genesis Disclosure series provides definitive evidence that the Giza plateau complex reveals a marker identifying the origins of its architects to other passing alien travelers. In addition, astronomical evidence, confirmed in the alignments of the Necropolis, incredibly shows earth’s relative location within our galaxy and provides a guide or map of the electro magnetic grids around our planet and beyond.December 21st 2012, all three known grids will converge and cross, thus bringing earth into a central alignment where Zero time will be realized." WARNING: THIS BOOK CONTAINS ONLY 2 PAGES! Got a 2012 theory you want published in book form? David Rising is looking for input via his Noah's Ark 2012 Journal, and the theories will eventually be published in the book, Noah's Ark 2012. "This journal is a prelude to the book Noah's Ark 2012. I dedicate this journal to all stargazers and anyone that has had a Paranormal experience in their lives or any encounters that couldn't be justified with normal every day logic. The Mayan calendar expires in 2012, did that ancient Civilization know of an impending disaster lurking in our near Future or was 2012 far enough into their future at the time for 2012 to be their quitting point in mapping their calendars? I believe what's rapidly approaching our near future is a Cosmic cyclical event and our collective subconscious knows It's coming. We as a race have lost the knowledge and are now searching for answers. There's an uneasy feeling being reported throughout the planet, the answers though are embedded within our being and can be brought back into our collective knowledge base, if enough of us concentrate as a unified race. The goal is to get thousands of people throughout the world thinking, talking and writing about this Era in our civilization." THE REMAINING 130 PAGES ARE EMPTY - YOU ARE SUPPOSED TO WRITE THE BOOK FOR THE AUTHOR! "A fascinating story of two men researching the origins of religion. Their journey takes them down of [sic] shocking scientific discoveries in our ancient past. Primitive mans heaven is irrefutably up in all religions and yet Michael's buddy remains steadfast in his belief of a spirit world. However, Michael sees the matching evidence provided by science today. We are going up, need gold to do it, and last but not least, are creating robots to assist us with the obvious. He presents the evidence to prove religions story is today's science. Up and space is religions heaven and our logical goal in achieving the immortality of our own species. We have come full circle. Religion matches today's science. What they look like and why they stay away is the climax of his research." ".....The last encounter with the serpent/dragon some 2,000 years ago produced Earth's current rotational tilt and the surface went form a single to a four season environment. The appearance of the celestial serpent/dragon was witnessed by practically every society/culture on Earth's surface and the serpent at the crossing (cross) became the most pervasive religious, secular tradition and symbol in human history. The ancients used the zodiac and scientific astrology to track the serpent/dragon. Although scientific astrology was the foundation for modern astrology, unfortunately the latter lacks any scientific purpose. The next appearance (the 266th) of the celestial serpent/dragon will annihilate most organic life and mark the beginning of the end of the Earth-human experience. Early religious founders knew of these celestial encounters, but chose to disguise the knowledge as the second coming, Judgment Day, or the Messiah to satisfy their fabricated deities, agenda, and control. The Mayans knew of these encounters and the next event will occur in the very near future according to their recently deciphered scientific astrological calendar." Why a 2011 end-date? See End-Date Confusion Explained, especially Confusion Factor 3. See also the explanation at Mexico Mystique, by Frank Waters, above. This is presumably the Australian aka Rafael Eric (Aric) Rey, whose website, Prophecies of Elia (covering Atlantis, UFOs and a coming golden age in 2011) is now no longer available, but who later changed the prophecies on his website by removing the dates, or extending them from 2011 to 2022. "Earth must undergo periodic gravitational adjustment every 1/4 of orbital precession (90 degree) or 1/5 of rotational precession (72 degree), which is precisely 5125.36-year Mayan period because precession is the gradual negation or reversal of time. Time is induced by orbital/rotation of Earth but an anti-time or its reaction are its gradual advances/regression (precession). Precession is thus an exponential (infinitely slower) time - it's the time of time or the gravitational framework in which all separate segments of time have their beginnings and ends (different frequencies in time spectra). Precession is the gravitational source of all relative space/time divisions through which Earth must pass in its cosmic evolution. The abovementioned site is an attempt to elucidate that truth and brings home the message of inevitability of collapse of present reality…"
Brand new attempt to explain the forthcoming dimensional shift from an exclusively scientific viewpoint. Online book released in installments: So far we have an Introduction , Chapter 1, Chapter 2, and Chapter 3 and Chapter 4. NEW However, apart from the fact that the pages never finish downloading, caution is needed at the site where it is posted. See Dire Gnosis item. The book runs parallel to some of Wilcock's Divine Cosmos and is an impressive overview, and has been finished in an amazingly short time - we are still waiting for the rest of Divine Cosmos - so this book is essential reading for 2012 researchers. In 2012 the world appears to have recovered from the catastrophic events of 2006 but one nation, determined to manipulate those events, unleashes a force so powerful that it changes the world forever. The horrific attacks, codenamed Dragon's Breath, in Washington DC, London, Paris, Madrid, Berlin and Brussels in January 2012 are just the terrifying opening shots of a conflict that will go on to engulf most of the world within weeks. A secret alliance of terrorists and nation states suddenly release their powerful forces onto an unsuspecting world with devastating consequences for millions of people. Two of the worlds most powerful ideologies are about to collide, pushed together by another who is determined to see them both destroyed in order to secure its place as the ultimate superpower. President Maxwell, the United States President and the decimated governments of Europe are left to pick up the pieces but will they grasp and understand the ultimate goal of an old idological adversary before it's too late? A story of revenge, betrayal, retribution and a quest for power, A Collision of Worlds 2012 moves from the burning cities of America and Europe, to Korea, the Indian Sub Continent and Australia before returning to Europe where a battle for survival is fought. 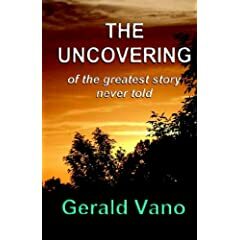 Fasten your seatbelts and hold on to your hats and come along with the author Gerald Vano, as he peers through the eyes of the spirit of life, on through the annals of time. We will start at the beginning of our time, at the re-formation of our solar system four billion years ago, and go on through to the coming pole shift in the year 2012. We will be shown a story that has never been imagined in modern times. We will see how the cyclic nature of the spirit of life, known as the unchanging God, produced the world we live in. Also we will see how this cycling nature caused the creation of a new species on earth known as man, by using an alien species from another planet, causing them to genetically mix their genes with the animalistic Neanderthals of this planet, to produce the hybrid. We will learn how the true purpose of Christ is to redeem us from our fallen sin nature, resulting from the unnatural genetic manipulation, to raise us to a fully aware alien spirituality. We will see that the bible along with the mythologies of the past, when properly decoded were telling us these truths all along, but we were not ready for them. 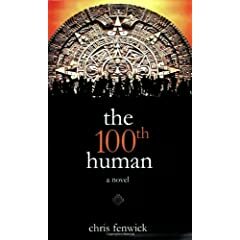 "The 100th Human" tracks the life or death, heroic quest of three unforgettable characters as they navigate the epic challenges facing the earth and her inhabitants. In this novel, Chris Fenwick successfully explains such complex scientific theories as critical mass, zero point, wave functions and punctuated equilibrium, making them accessible and even important to our daily lives. This fast paced journey melds the teachings of the Kabbalah, the Vedas and Christ, fusing the universal concepts of purpose, gratitude, consciousness and love into one compelling story of hope, but also of responsibility. December 2012 - The final day of the 5000 year old Mayan calendar nears. The world is in turmoil - as wars and international tensions continue. People everywhere seem lost in the complications of day to day struggles - poverty - misfortune - anger and greed. A small team of scientists have uncovered a riddle concerning this "End of Days". As they reveal the symbolic meaning of the riddle, their serendipitous mission is discovered by the Ancient Fraternity of the Veni Victus - determined to thwart such revelations. These two powers - of good and evil - converge. Only the spirits of the ancients know the outcome. The 100th Human is a spiritual quest delving deeply into matters of physics, metaphysics, evolution and the human condition. Join Jack, Apu and Alana as they race against time searching for those who can assist in revealing the mystery of the ancient symbols - before time literally runs out. Raven-haired and eccentric rock star Tara Morgan"s just played her last gig. On a morning in March, 2012, she wakes stranded solo in her dome in the New Jersey suburbs, , shocked that she has alone has survived the scenario of global destruction that lies outside her crystal walls . WELCOME TO OBLIVION, where the name of the game is Survival. Star People and Computer Council are vying for Tara"s attention in a world gone rad. But when transported to the South Pacific, the beauty teams up with the island"s beasts...the Komodo Dragons. Now its hard to say who will win the battle, or win the war. 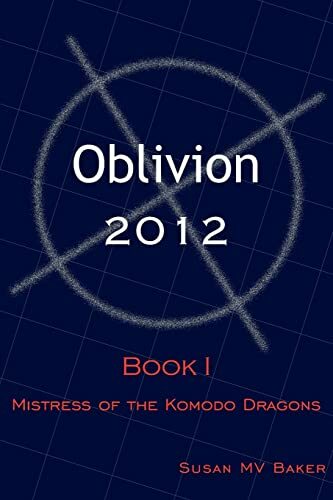 Fantasy and Sci-Fi fans will really enjoy this book...a quick and easy read, filled with fun and imaginative characters. Yet another book about raising the Titanic in 2012 (- three books altogether, by different authors - the others are Titanic 2012 and Deep Banks. "Fact: They Mayans Calendar ends on December 21, 2012. Fact: No one really knows why. Fact: No one can explain the existence of crop circles. Fact: No one can truly explain the existence of Pyramids. Fact: No one can prove that aliens don't exist. Question: What if there's something down the Mariana's Trench? Question: What if you were told the Earth was going to be destroyed? Would you believe them? Would you take the risk not to? "Alien warnings embedded in our crop circles have gone unnoticed, until now. Governments around the globe race against time to evacuate billions of inhabitants from the planet due to the discovery that Earth will be destroyed in the year 2012, a mere eight years away. Where would we go? How would we get there? Who would be left behind? And why is one race of aliens plotting to keep us here? These are just a few of the questions and obstacles faced on this galactic odyssey by our trio of heroes in Escape 2 Earth. Matt, Will, and Art are reluctantly drawn into an adventure by a secret alien organization that will unlock the mysteries of Stonehenge, the White Pyramid of China, the Mayan calendar, and the Great Sphinx in a scramble to help save the human race. "This epic quest for Earth’s survival takes you from the powdery pink morning skies on the planet Lazon to the subterranean cities under planet Vada and the Whistling forest. The battle between good and evil that began long ago in a far off galaxy is now being played out with the survival of mankind at stake. 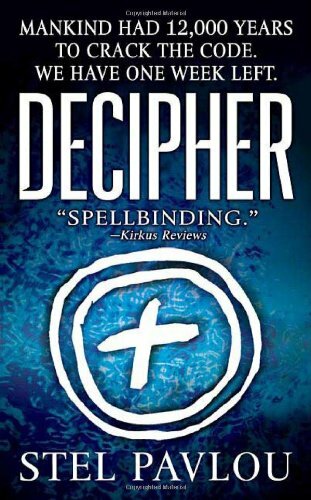 This sci-fi story is laced with a touch of telepathy, deception, and a murder or two. Discover the hidden alien base deep in the dark murky depths of the Marinas Trench, watch as the aliens prepare to celebrate at the Festival of Life. Who will survive the race to escape this doomed planet? It is anybody’s guess. Who will Escape to Earth?" "House Of The Jaguar by mythologist, systems analyst, internet marketer, and iconoclast C. Charles Coyle is a gripping new Mayan mythology oriented action/adventure science fiction novel for young readers. Engaging the reader from first page to last, House Of The Jaguar is a futuristic tale of Kat, an American teenager confined in her youth to the moderns of technology and the digital age, in her confrontation with a digressing, broken world as result of earthquakes and the release of an underworld creature, the Xibalban, and her alliance with shamanic tribesmen in an ultimate struggle for life. House Of The Jaguar is to be given high praise for its originality, and is very highly recommended as an intriguing read science fiction and fantasy enthusiasts." "The novel is set in 2011-2012 and is a spiritual quest/political satire that is loaded with Magical menehune, Neptunians and other beings, including some integral and otherwise humans. "Fiction or Prophecy? 2012. Life on planet Earth has accelerated exponentially in all directions. Political systems and multi_national corporations have merged into a New World Order. Atmospheric conditions and water supplies have reached critical states. A select few humans are aware enough to remain free of the Homeland's grips. Among them, GUT Tribe an undergound music collective, pumping out extremely low frequency (ELF) Beats... But they are not alone. The magical Menehune are ready to reveal themselves from their hidden Hawaiian spaces. A newborn dolphin rises to the occasion. The mystical Phoenix shares his vision. From beyond the planet Earth beings take notice…"
Cosmic Locusts is an essay masquerading as a fiction. It reveals the secret of the Mayan calendar end date. Cosmic Locusts is the story of an apocalyptic vision of humankind's approaching traumatic rebirth based on a pattern of Nostradamus' quatrains, the biblical book of Joel, and the Mayan calendar. These diverse ancient sources converge in the tale of a scientist turned reluctant prophet in which the end of everything is only the beginning. With a one-two punch, earth's close encounter with a comet and an energy burst from the Milky Way's black hole center ends life, as it was known before. All of man's technological devices are gone. With old distractions removed and new gifts bestowed in the form of spiritual acuity, man is left to develop a new world view. Many predictions have been made about life at the beginning of the twenty first century and the impending end of the world. According to the Mayan Indians, the end of the world is supposed to come on the day of the winter solstice, December 22, 2012, when the sun changes it's rotation and the Earth turns on it's axis. A theoretical physicist, Austin Green, and his spiritually enlightened son, Zeo, barely escape from Los Angeles before a third massive earthquake cracks the North American plate, and the entire west coast sinks into the ocean. Now, in the year 2011, they're struggling to re-build a society with others who've survived the precursors to the pole shift--a long string of natural disasters that had been plaguing the Earth since 2009. But Austin and Zeo want to know what will happen after the pole shift occurs in 2012. Does the music play forever? Will all life on Earth end before the middle of the twenty first century, thus destroying everything mankind has ever discovered since the beginning of time as we know it? Or have we learned from our past mistakes? Combining Austin's expertise in hyperspace manipulation, and Zeo's deep seeded, new age intuition, they devise an elaborate plan utilizing a home made proton accelerator, the energy vortexes in Sedona Arizona, a quartz crystal, and the energy generated on the day of the winter solstice, when the sun changes it's rotation, to construct a worm hole two hundred years into the future and escape just seconds before the Earth turns on it's axis. "Does the Music Play Forever?" is a story of one man's discovery of, not only his true nature, but also the true nature of the universe and mankind's innate connection to it. It is the ultimate example of the law of cause and effect. Fiction by an Australian astrologer: "In the shadow of the Eclipse, Mia, an Australian Astrologer travels beyond the veil and returns to her soul’s abode. Awaiting her are all her soul kin and Masters. Mia is united once again with the Truth which she must disseminate on the earth plane. Her messages are treated with disdain and disbelief: yet she knows there is a threat to the evolution of the soul. As the last eclipse of 2012 comes closer and the Shadow deepens, Humanity must no longer be left alone in the darkness: the Light has to be cradled and brought back." "Two anthropologists lead an expedition into the lush hills of California’s Central Valley to explore the unimaginable possibility of finding the lost Mayan civilization. They discover hieroglyphics that tell of the approaching end of the world, a treasure of gold and fantastic technology, hidden for centuries awaiting the new age. Ritual killings occur suggesting the Maya have survived to oversee the new age, and it is up to Amy Parrish and Joe Magee to stop the diabolic plot that threatens to destroy the Maya and the earth itself." 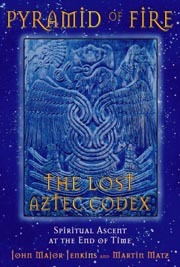 The publicity announcing the book says that "no one has seen the Maya since the ninth century", but that the novel predicts their "return on Dec 22 2012". There are actually about 2 million Maya living today and they were quite visible when I visited Guatemala. The evidence actually shows that they abandoned their cities due to a drought and didn't become invisible or jump into space ships. "The year is 2012. America's global war on terror is at a fateful crossroads. The rise of Laskar-e-Muhammad, the most audacious and sophisticated terrorist network the world has ever seen, imperils America's national survival. As President Middlefield and top deputy Jim Constance rally America to confront the threat, worldwide criticism hampers their efforts, many detractors arguing for a policy of appeasement. Dr. Jane Crandall Offman, high profile professor and social commentator, joins Islam's intellectual elite in undermining the war on terror. Denounced in the court of world opinion and outmaneuvered by Laskar-e-Muhammad on all fronts, America finds herself abandoned and isolated. With Constance as his only trusted adviser, President Middlefield desperately tries to prevent a final act of terror that will result in the unthinkable: The ultimate doom of the United States and her collapse as a civilization. A factual epilogue is appended to the conclusion of America 2012 to demonstrate the fictional elements of the novel have their basis in fact. A riveting political narrative in the tradition of The Ugly American, America 2012 is both a futuristic thriller and the cautionary tale of our times written by two authorities in the field." "In Washington D.C. 2012 (two presidential campaigns away), the world is in turmoil, with freakish weather, environmental disasters, electricity cutbacks, nuked cities, food riots, food rationing, a thriving black market, lawlessness, impending war between Russia and China that makes North Korea look like a sissy nation, and of course the inevitable conspiracy by the government to make themselves look better at the expense of the people. Mixed in with this Tom Clancy/Michael Moore/Noam Chomsky paranoia is a "Deep Impact"-esque story of an asteroid on collision course with Earth, a mysterious alien civilization, a "Night of the Living Dead" alien plague mad robot disease subplot, and a Russian femme not-so-fatale named Svetlana Kerenskia. Oh, I forgot, there's also a Doctor Zhivago-esque romance between Svetlana (Sveta for short) and Brad Henderson, your typical clueless but brilliant single guy. Brad and Sveta generate enough chemistry, awkward at first, to make the romance as engrossing as the science fiction thrills." "It is December 2008. Erratic weather seasons have been occurring globally for years and continue to worsen. Scientists, politicians and religious leaders worldwide are theorizing and contradicting each other, offering varying explanations from global warming to the beginning of Armageddon. A mysterious crystal-domed medallion has been discovered at a secret military base in Antarctica. Five years previously, several identical medallions had been unearthed at unrelated ancient sites throughout the world. People were deeply affected by the symbols, stirred by a long lost collective memory of humanities distant past. It was claimed the medallions were over 13,000 years old and contained knowledge about celestial transits, indicating the ending of a 26,664-year galactic cycle that will conclude in the year 2012. Answers to this riddle are about to be revealed by Jake Wakeman, an enigmatic ex-military colonel, who becomes the reluctant emissary of a message left behind by the ancient medallion keepers - a message of hope that could transform humanity into a utopian civilization during this turbulent time. 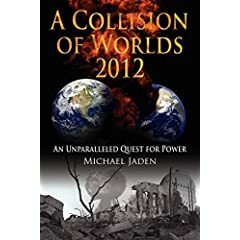 But there are dark forces at work that will do everything within their power to stop him.."
"A environmental story from the year 2012, when technology and geological planetary upheaval challenges our existence on earth... As oil reserves dwindle, the balance of power in world politics may shift. Polar wobble and astronomically-based earth changes will create speculation about the planet's survivability, while electromagnetic weapons not only change the way war is waged, but become a threat to the planet's integrity. .... As an original corporate-aviation story, the action takes place in a Raytheon Hawker where pilots' Kate and Ron fly Kexxan's jet into a man-induced atmospheric rift, the carrier for worldwide brainwashing. Kate's romance with Ian, a computer program designer, becomes intertwined with a plot between warring factions of the International Global Control Union, an organization formed to consolidate all nations under one state. The storyline is based on dangerous radio frequency technology that exists today .... the technology described is not a future speculation -it is currently in use! As an environmental harbinger, 2012, Airborne Prophesy delivers a specific warning concerning the effect wireless technology can have on the atmosphere and magnetic stability of planet earth...". 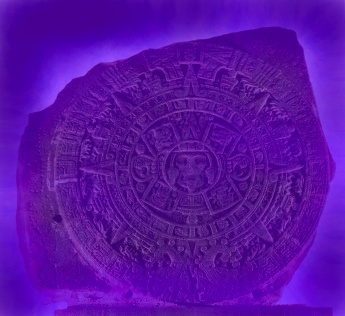 "In the year of 2012, the same year that Mayan prophecies predict the end of the world, strange emanations are causing reactions at the sites of ancient monuments. A group of scientists investigating the phenomenon believe it may be the lost city of Atlantis which has been reawakened. They only have a week to solve the clues that so far mankind has been unable to decipher - will they uncover the truth before the earth is destroyed." Marshall Masters is a former CNN Science Features news producer, freelance writer, television analyst and the publisher of YOWUSA.COM. He spent three years researching the material for Godschild Covenant and has written extensively on Nibiru flyby-related topics to include: catastrophic earth changes, crop circles, impact events and future technologies. Godschild Covenant: Return of Nibiru is a collection of fast moving human dramas set against a global backdrop of tribulation and human evolution. 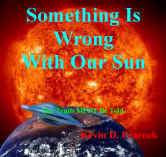 The story begins in the year 2011 with the impending flyby of a planet known to the ancient Sumerians as Nibiru. Over four times the size of Earth, Nibiru orbits our sun once every 3600 years. During this coming flyby, which, according to some was foreseen by the Mayan calendar, it finally comes close enough to Earth to become the proverbial straw that breaks the camel’s back as its tidal gravitational forces trigger a number of natural and man made catastrophes that not only challenge our will to survive, but our will to evolve, as well. "A near-death experience unlocks a hidden power... and sets a prophecy in motion. A journalist recovers from a vicious attack on her life. Returning from the brink of death, Rebecca gains the ability to see the ghosts and spirits found all around us. This power brings her to the defense of a boy with the miraculous ability to free the earthbound souls. This child is hunted by the ghost of the most blood-thirsty ruler in Aztec history-an evil power driven by an ancient prophecy to conquer both the living and the dead and to bring about the end of our age. Twilight of the Fifth Sun. With a cast of complex and entertaining characters, the story races to a furious climax atop the pyramids of an ancient Mayan city, where the battle for the salvation of the world will be waged." "Steve Alten taps Mayan mythology and Old Testament lore in his sci-fi/fantasy take on the age-old battle of good and evil. Archeologist Julius Gabriel is ridiculed when his research shows that ancient wonders like the pyramids, Stonehenge and Angkor Wat were built with extraterrestrial help to play a role in an Earth-based Alien Armageddon on Dec. 21, 2012, the winter equinox. When Julius dies of a heart attack, his son, Mick, attacks Gabriel's main tormentor and former partner, Pierre." Fiction: This is the follow-up to Steve Alten's Domain (see below). The action starts in 2013 with the birth of the Hero Twins as predicted in the Maya Popol Vuh myth. See promotional movie trailer here. On what begins as a pilgrimage in search of a Mayan shaman, Jake, Monica and their guide, Lobo, trek across Mexico in D. Rhoades Hoskins's 2012: The Shaman's Prophecy. It turns out Lobo's not simply a guide, and when the two travelers are apprenticed by the shaman, they embark on a high-stakes race for a Mayan treasure. A novel about reincarnation and 2012. Following a past-life regression, in which she experienced life in a Mayan royal family, the author, Jeeni Cricenzo, started having dreams about the Maya. Then, when she visited Mexico, had several deja-vu experiences. She spent 5 years researching, then wrote this fact-based novel. The 780-page book is a historical novel and tells story of 1920s British explorer F.A. Mitchell-Hedges, whose daughter, Anna discovered the famous crystal skull of Lubaantun. In a parallel storyline, it tells of Mac Chaanal, who was the great scribe of Copan, and his connection to the ancient prophecy of the Maya, a prophecy that is still unfolding as we count down to the end of the Mayan age in 2012. During his research into why the Maya abandoned their civilization, and the nature of 2012, author Anthony Conforti discovered a previously unknown Mayan site. "It is the year 2011 and the comet Raven is entering our solar system. A Mayan woman - an astronomer & teacher, predicts there is more to raven than first appears. her former student, Karen Rune, is living in San Francisco. Karen is troubled by strange dreams and sleep-states since the death of her lover. Recalling her teacher's words about the baktun cycles of the ancient Mayan calendar and the concept of zero, Karen travels with a friend through Mexico in search of her teacher, the apparitions in her dreams and the meaning of Raven." "Our heroine travels through past lives as Persephone, an Atlantean, a Celtic Druid's lifetime, a Mayan King's lifetime and King Hatshepsut's of the 18th Dynasty in Egypt. This is a true story recaptured through past life regression. You will learn the secrets of the ancients, their beliefs, rituals, sexual practices and mystic teachings"
"Elbib Ehtdrow" is a reporter in Jerusalem covering the descent of a hooded humanoid on a cloud in Jerusalem, in 2012. The person is taken to be the Messiah returned, and calls himself Natas Reficul, and starts putting the world in order. This is a predictable replay of the prophecies of the Book of Revelation - just reverse the names to get the plot. "...shortly after a limited nuclear exchange, the almost unthinkable comes to pass: the Great Accident (a large asteroid impact) followed by the Great Catastrophe (a shifting of the Earth's axis)". Just under 144,000 are saved by "good samaritans from the sky". "The record of how seven spiritually-connected sisters had the courage to face the apocalypse within and to learn the Truth about themselves and of all existence. Can the efforts of these seven create a power strong enough to save the world from it's own apocalypse?" The story culminates at Meggido on 21st December 2012. A story about the arrival of an EMP wave in 2012: The event that governed the timing of the 2012 termination point of the Mayan 13-baktun cycle, was the arrival of an "EMP wave". In the story, this wave is said to be due every 500 years, and currently overdue by 200 years. Devastating earthquakes. Record-breaking tsunamis. C 5 hurricanes. Rising global temperatures. World war. Predictions of how it will all end have been around for thousands of years. 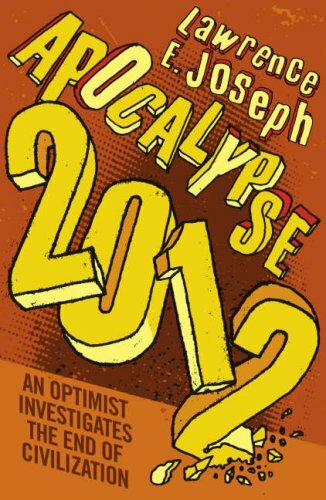 In Apocalypse 2012, Lawrence E. Joseph reveals the curious fact that 2012 has been pinpointed as a pivotal, perhaps cataclysmic, year in human history by ancient sources and contemporary science alike. Joseph investigates this chilling correlation with an open mind and skeptical eye. He delves into historical and spiritual materials as diverse as Revelations, the I Ching, and the Islamic Hadith, drawing on scholarly works and recent controversial bestsellers such as The Bible Code. He examines the ancient Mayan Long Calendar, the source of the 2012 prophecies, and then travels to the jungles and highlands of Guatemala to work with Mayan shamans who confirm the 5,000-year-old vision. In a scientific research city in the heart of Siberia, he meets with geophysicists who contend that the solar system is moving into a highly charged interstellar energy cloud. And on the tip of South Africa, he interviews physicists and psychics who are trying to make sense of the fact that the earth’s magnetic field is vanishing. Combining the theories of Jenkins, Wilcock, Scallion, Cotterell, Arguelles and others, plus personal experience with the children, the author makes a case that the Psychic Children are the first transitional stages, and more recently, the first members of a new human species whose emergence is connected to the forthcoming transition point in December 2012. The children can provide guidance for the rest of us, through the transition. The link leads to Hugh Newman's website and provides the background information. Illustrations will be by Carl "Youri" Sullivan, who produced the image at item 22. "Dr. Mau reveals the vast physical changes that the earth will undergo and how groups of light workers will be instrumental in building a transitional society in designated safe areas that will lay the foundations for the emergence of the Age of Aquarius." This novel is essentially a primer for how planet Earth is going to transform Herself over the next few years, and how human civilization on Earth is going to take on a more visible and acknowledged role within the galactic community. The events and personalities in this story take place between 1998 and 2002, beginning along Oahu's North Shore with Theo Rainbow, a legendary super-angel now in human form who directly intervenes to improve Earth's chances for renewal and redemption with the mortal help of Ella Sang. 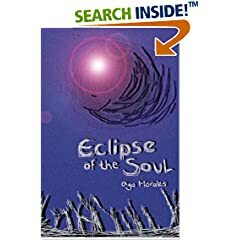 The scope of this novel's story includes: 2012 related discussions, parallel dimensions to planet Earth (Nibiru and Vertigo) linked by fear-based human emotions, inter-dimensional portals, cloaked extraterrestrial spacecraft in Earth's airspace, and celestial miracles associated with human romantic love. A dark vision of the future via the author Nickolaus A. Pacione. Set during the year 2013, this is a future that no one wants to imagine can happen and inspired by those films that the Discovery Channel put out. This is his first attempt at doing a cyberpunk style Science Fiction story. Rated PG-13 for storm menace. Think what happens when technology survives the Mayan Calendar. No one really knows what the future holds especially the not too distant future. What does the year 2013 look like? This is one of those futures that can be a posiblity. As morbid as it seems, one can ask the question what if and this could be one of those what ifs. This is the what if no one wants to see, but this is one of those that are unavoidable. Inspired by the Quakes and Storms Relief Anthology, namely Trent Roman and Erin Mackay. They're real and with us as Celestial Intelligent Creation (CIC). Divine Universal Light-Being Creation, against the real Darth Vader or Lucifer. Astar and the 7 Arch Angels of Divine, infused Light-Warriors, secure Universal Sanity/Balance. See preview how Earth’s 3rd magnetic vibration/realm was totally distorted but is being reclaimed through divine colour matrix infusions deep to Earth’s Crystal time template/grids! Includes explanations of the 5 Pointed star alignment which transpired on the 1st October 2004. Highly significant event re-joins the five points for Earthly Harmony, but long hijacked. 5 vital, original basic ingredients secure Spiritual, Mental, Physical, Social and Financial codes essential for all living life. Neptune, along with other material influences wane, as Mars and the Moon move closer to Earth. All vibrations alter and ushers in a 5th Human Cycle or 'Ether/Celestial' reign. Are we ready, preparing for major changes for all life towards the year 2012? Arrival of Blue Flame Indigo Children on earth as divinely tuned, highly linked, inquisitive freedom light ambassadors! They're divine links arriving en-mass on Earth from 1987 (25 year period.. 2012) and usher in Divine Universal Crystal time lines during transition soul-matrix periods. Does your child display extra/different abilities? If so be patient, as are here so grown up's learn from them about truths, but in a GROWN UP WAY! A number are/have been prescribed the drug Methylphenidate (Ritalin). Yet described by some as a mind altering drug or 'prescription crack' in control of a fairly new condition ADHD (Attention Deficit Hyperactivity Disorder). DIVINE CRYSTAL LIGHT INFUSIONS deliver clear signals a divine 5th Etheric World Order (EWO) or transparent FREE NEW REALM emerges. Find some answers etched right here of why they've arrived and just how proud you should be. We can learn from them, but through patience. It’s 2012. The world is crumbling. Governments worldwide have collapsed, and what’s left of the army occupies seething cities. Oil is almost gone, food is scarce, and electricity almost non-existent. Corruption rules the decay. While a gritty street gang fights for its very survival in the urban chaos, a shadowy secret organization tries to crack an unknown ancient code which could at last give it control of the world. Amid this, the Pleiadians return, keeping their promise from the end of Lemuria 25,000 years ago, but they discover planet Earth has changed in ways they did not imagine possible. This science-fiction fantasy thriller is the first book of the 2012 Saga series. Friday morning arrives, and the city of River Branch teeters on the precipice of chaos. Food distribution is imperiled with the overnight hijacking of the food train, but the Pleiadians are preoccupied by their own problems with the Orions. The local born-again Christians turn to blood thirsty terrorism, leaving the army with little choice but to take ruthless action. Still lusting for power, the secretive Organization stumbles all over the ancient secret code, not quite cracking it, but not quite failing, either. Deftly sidestepping the Pleiadians, the R-Street gang moves to expand its turf, but their pangs of hunger instead set them off on a quixotic food raid into the heart of the city’s safe zone. 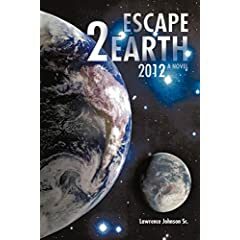 This second book of the 2012 Saga continues the action, drama, and intrigue as planet Earth hurtles on into an uncertain future. Scénario pour la fin d'un monde (in English after). Au travers d'un roman, d'un thriller captivant et envoûtant, l'Humanité découvre ses origines peu avant les grands bouleversements de l'an 2012. Une synthèse de nos connaissances et de notre histoire, projetée dans un récit d'anticipation qui va nous faire prendre conscience de notre réalité et nous ouvrir les portes d'un avenir possible. Synetica 2012. Script for the end of a world. Through a novel, of an enthralling and bewitching thriller, humanity discovers its origins shortly before the big distresses of the year 2012. A synthesis of our knowledge and our history, intended in an anticipatory narration that is going to make us to become aware of our reality and to open us the doors of a possible future. Astrocalypse 2005 - 2013 An astrologic diary of the apocalypse with perpetual update. Comets, sigils, omens, scientific astrology maps, war predictions. Israel, Iraq, Moon in Auriga and the portents for 2006. Preview of a forthcoming publication. The working files allude at political as well as war issues due to planetary motion 2006 - 2012. Arthur Gray is confused. Arthur Gray is lost. Arthur Gray is searching for answers as around him, events like amoebas sprawl at a seemingly pre-ordained pace. There is Ray-Ray, a disillusioned KKK member recruiting soldiers for a war against the underground terrorist organization known as the SCUGOWAFS (Satanic Crimes Undermining Good Old White American Folks Syndicate) and their new recruit, Reginald. There is a bugged-out psychiatrist, who stumbles upon a strange panacea; a President trying to do what is best for the country; an older brother trying to delay the end of the world from happening in 2012; a strange girl surrounded by butterflies; and his dead father and sick mother, who is in the hospital and ranting as only a loving mother can. This is the world that Arthur Gray is searching—this is Arthur Gray’s world. You will meet Adama as I did, atop Mt Shasta in California in 1999. I quite unexpectedly heard his voice speak to me. Hearing the message that day, I agreed to begin a work with Adama on behalf of humanity. I agreed to travel throughout the Earth, visit and seal thirty six Sacred Earth sites with Adama and the Lemurians...They are reaching out to humanity from the distant future realms to assist in the transformation and transition of planet earth prior to 2012. They have much to say to help us during this time. Amateur astronomer George Abooli encounters friendly aliens and goes on an interstellar journey to their home planet in the Tau Ceti system. He becomes assimilated into their society, which is peaceful and respects the environment, and works with them toward preparing for formal contact with the humans. This involves a series of trips back and forth between both planets. But trouble develops on Earth with the rise of an evil Middle East dictator who steps up terrorist attacks in the United States, already weakened by natural disasters and a collapsed economy. The ultimate battle breaks out in 2012 with the threat of a nuclear holocaust, and the aliens are America's only hope. The fate of humanity will depend on whether George can persuade them to make an exception to their policy of noninterference and become allies in the war on terror. In the year 2012, a paradigm shift is coming to planet Earth. It cannot be stopped. The Mayan hieroglyphics etched on the pyramids built by them on the American Continent, depicted this prophecy. However, only one bold individual under the tutelage of beings from another dimension, deciphered the well-guarded secret. Since then, carefully chosen individuals, lately arrived to Earth, have been metaphysically prepared to spearhead the purging of the planet collectively. Philip Reyes, a lad from Honduras, Central America, is one of the chosen. This is his story. After a near death experience, Philip was visited by a strange being from the fifth dimension while in the "Dream State." In that place, unseen by human eyes, the visitor became his teacher, taking him to other dimensions, experiencing flight, and subjugating the lad through rituals that slowly molded him into a full Maya Warrior. At eighteen, he became a paratrooper in the famous 82nd Airborne Division and served overseas at the onset of the Asian conflict and cold war in Europe. This human adventure takes the reader through a dark world of nostalgia, black magic, violence, injustice, pain, and degradation. However, like a true warrior, Philip faces his strange destiny head-on. In the not-too-distant future, all life on Earth is wiped out by what history would call a meteor – if history could record it. Some are saved, and 2000 years later they return to begin again. This – by ancient calendars – is the forth cycle of evolution. It is the last chance humankind has to survive. Now, after civilization is reborn with swords and kings, and magic is rediscovered on what is left of the American continent, that which man calls evil makes another play for the souls of the chosen. This will be the final play, for evil has found a way to bend the rules, to use the human mind and it’s power to bring what the ancients would call Hell into the physical realm of man. There is no religion. All the prophets are forgotten. There is nothing to guide or save humankind from the creature that has haunted their psyche since their beginning. The human race is on their own and that which the ancients called evil will seize their ignorance in a final coup of their immortal souls. The dead will rise again-- The living will see them-- And all that possess the gift of life will mourn forever at their loss— September 15, 2012: 5:18 P.M. This first Novel in a series is an outline of the Author’s thoughts and perceptions on the subject of how some races of mankind may have arrived on Earth in the shadowy days of prehistory. It is also a foreshadowing of how and why mankind might disappear again in the planet’s future. The story described in this book refers to real and authentic events and people. Since May 2001 we have obtained information on the location of the tomb of Pharaoh who built the Great Pyramid in Egypt. This information was obtained from a Polish woman, Lucyna Lobos, through sessions of hypnotic age regression. The excavation of the Pharaoh's tomb and placing the mummy in the sarcophagus of the Great Pyramid is suppose to "open" the Pyramid and create a protection from catastrophic changes such as global warming and natural disasters, especially from the danger of year 2012, i.e. changing of the Earth polarity. According to obtained information, the Great Pyramid was constructed about 6,500 years ago by the Pharaoh whose name was THE ONE WHO CAME FROM HEAVEN. The main builders of the Pyramid originated from a distant civilization in the Orion Constellation and were from a planet called Ashun. During the Pyramid's construction the people of the earth only performed basic lighter tasks. In order to empirically validate this information from the age regression sessions with Lucyna Lobos, the University of Wroclaw (Poland) has initiated archeological excavations in the southern mountain in Poland called Sleza in August 2004. These excavations are still proceeding today. To further validate this information, the University of Cairo performed radar ground penetrating research (GPR) in the area of the Great Pyramid to the depth of over 60 meters in February 2006. This was achieved with the permission of the Supreme Council of Antiquities in Egypt.